VINTAGE TURKISH HAND CHASED SILVER? 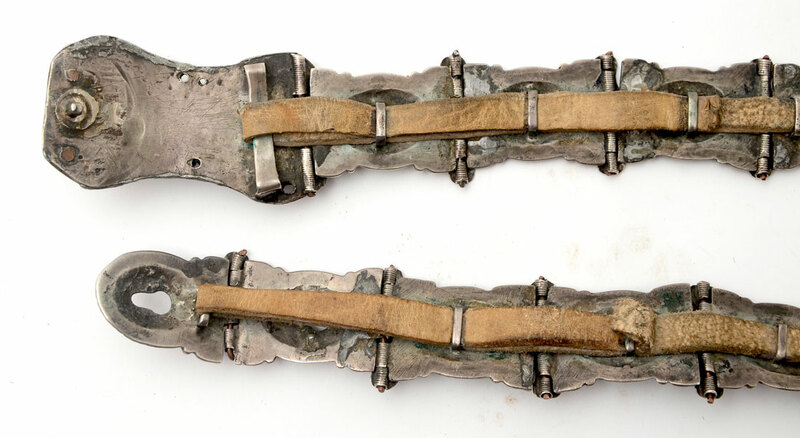 BELT: 16 niello oval medallions are connected with pins covered by decorative vertical plates. Each medallion is further connected with a leather strip for comfort and security. 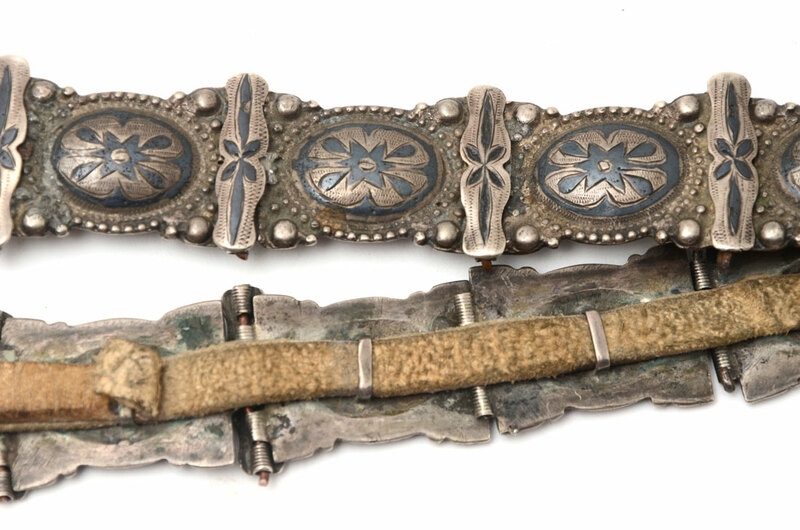 The buckle has detailed filigree work and connects in either of 2 positions. The length adjusts from 27'' to 28.5''. CONDITION: One pin is missing and 4 pin plates are missing.